Jubilee, Klipschorn, LaScala horn loaded bass bins. Was considering putting this in the modification section, feel free to move it if necessary. Wanted to start a new thread here so not to muck up a for sale thread. Lets keep this purely about bass bins so not to confuse others please. Less folds in a folded horn will provide better midbass, folds in a folded horn act as a low pass filter subtracting from detail. The first time i noticed this years ago was hearing Klipschorns and LaScala's in the same room, the difference was substantial and this led me to investigate why this was. First time i heard the Jubilee i noticed how the K-402 was substantially different from any other horn lens i have heard before but do want to keep this thread about bass bins so i will restrain from commenting further on this subject but back to the subject of bass. Having owned LaScala's and a bunch of horn loaded subwoofers i judged the Jubilee bass against my modest systems and found the lows sounded so much deeper and cleaner at home. I don't understand this conclusion....can you state it in another way? Sorry, not great at describing things sometimes. Lets just say i was not impressed with the Jubilee bass bin in comparison of what i was used to hearing at home. In what way was the difference substantial, which sounded better? Were the XO's the same? What do you think made the difference in sound, the folds in the horn? Every setup has a compromise. 1. If you want a fully horn loaded system without the use of a subwoofer, the Jubilee "systems" are the best. 2. If you want a fully horn loaded 2-way system without the use of a subwoofer, the Jubilee "systems" are the best. The clarity and detail of the midbass was very different. I have yet to hear the Jubilee with a horn loaded subwoofer. You feel the Jubilee is cleaner up to the crossover point as well ? Could have very well been the room but i felt it somewhat lacking minute details. The jubilee has to take on the task of sub 40Hz out to 400-600Hz depending on the setup. Yes this requires more folds......And I do feel the folds compromises the "details" as you say of certain frequencies compared to a straight axis bass horn or more simple folds. They are different systems with different advantages..... I do like la scala bass......but in the end....I would integrate a sub. The Jub bass bins have very narrow polar coverage above 200 Hz due to the dual separated mouths (just like Khorns, but only not as pronounced in the Jub bass bin), and also has a bit of separation disturbance at the crossover between the bass bin and K-402. These are comparatively mild to other performance differences that you'll hear with other Heritage types. I'd hazard a guess that the differences you heard were probably mostly due to room acoustics, or perhaps equalization/crossover performance. I don't know where you heard the Jubs, but I've found that they do much better in rooms with good acoustics, just like any other loudspeaker. I've also found that Jubs perform seamlessly in rooms with one or more horn-loaded subs that are dialed-in. Focusing only on midbass performance vs. everything else that the Jubs do differently/better is difficult, I've found. It takes extensive listening time to pick out that one performance area, IME. The only other loudspeaker that I've heard that can compare to 2-way Jubilee performance is the K-402-MEH. Its midbass-to-bass performance exceeds everything else that I've heard. The premise has changed from the "for sale thread"which was whether Jubilee was an upgrade to Khorn; the response being a preference of LS with a Sub. 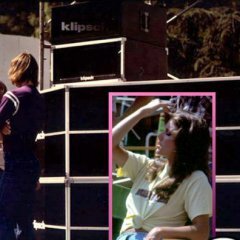 It is now a comparison of bass bins, I'm guessing with a sub? Why limit the bass bins to Khorn, LaScala and KPT-KHJ-LF. A few people run 402's with MWM. I guess I look at it this way, you can get by with 2 channel music with Junes running without a sub, a great deal of it anyway. Can you get by with just LS without a sub? My comment on the Bass bins was a comparison of the different models, i have not strayed from my original comment at all. Some can get by without a subwoofer with any of these models, problem is once you hear a horn loaded sub with horn loaded speakers you end feeling like a big part of the program material and impact is missing without it. I agree with most of this but if you spend years listening to the same system in your home and then go to somebody's house to audition their stuff the differences are picked up almost immediately and this is what i was basing my comment on. OK so it is bass bin with a Sub. Well I can say, unequivocally, to my ears, a KHJ-LF with 402 and an 1802 or other good quality horn-loaded sub will crush an LS with the same sub. As will a MWM/402 with same sub. I will say that folks who have space limitations have been very pleased with cutting the MF/LF section off of an LS ( or removing it, depending on year of make) putting a 402 on it and running it with a sub. The fact that it was the last speaker that Paul worked on, together with Chief Bonehead, pretty much is icing on the cake. You don't get what i was saying, its the midbass details that i was referring to. Maybe the next generation will not have just folds but rounded bends to improve on these details. Let me clarify, to my ears, and I have owned and/heard all of these setups, extensively, crush an LS in every respect, including the mid-bass. However, I will say that everyone has certain priorities is terms of what sounds best to them, whether it is conscious or not. Just like with music, or certain instruments. Most people will prefer a speaker with a flat FR, whether they know it or not. This has been studied and published. They can't articulate why they prefer the sound, they just do. I am not anywhere near as technical as @Chris A to the point where I can look at graphs and plots to determine where a particular result may be causing a perceived improvement or shortcoming, I just know what I prefer, and by a wide margin. When LS were last reviewed by Stereophile, the reviewer bought the review pair because he liked them so much. He also added bullet super-tweeters on top to "improve" the HF to the point where he thought it was the perfect combo. He ran it without a sub. To his ears the LF was fine as is, it was the HF that needed a little help. He is the only one I have ever heard of that felt that way. Everyone is listening for a certain thing from a speaker that their ears are attuned to for whatever reason. LS 1's were my first heritage, because of lack of corners, and to me were far superior to H1 or CW. This was back in the day when there were no subs (how did we ever survive ?). There are plenty of folks on here that prefer a CW over a LS, either with or without a sub. People tell them about direct radiators and the advantages of horn loaded bass, etc., but they still prefer the CW. What are your top 2, 3 or 5 reference tracks for the mid-bass you are describing? Maybe I can give those some careful listening to see if I can subjectively pick up on what you are describing. It may be I can't discern this shortcoming and therefore it just doesn't factor in when I listen. Roy is always working on a lot of interesting things down at the Boneworks, you never know. Have you heard MCM's ? Have you heard MWM's with a K-402 ? He has owned them all, MCM'S, MWM, Jubes, done them with 402s, I think his preference was with MWM, but not sure. Our.friend, @mark1101 prefers a 3 way with MWM 402/510 horn set up. He may even be at a 4 way now I can't remember. A couple of people prefer the 2 way MWM with 402. If space, WA are not a factor, a lot of people really liked the sounds of MWM with 402. Thanks for the reply. I really was curious as I have not heard the Jub bass bin . I do have 3 MCM 1900's (4Way) which I use now but they came with 2 extra MWM bins and ever since I heard Claudes 402's I have set my sights on getting a pair of 402's to pair with them. They truly are special ! But if a Jub bass bin can out perform or even keep up with a MWM then that is certainly something to consider because the MWM's which I love , made all the friends who helped me move them , inform me Not to call when I want to move them again The 2 bass bins I haven't heard and really want to are the jub bin and Claudes 1/4 pies. I do however keep hearing there is no replacement for displacement and as I have gone through the Klipsch lineup it has held true . That being said the Jub is a much newer design than the MWM so I certainly have to consider it's possible. Yes, I've heard a K402 on top of MWM crossed over at 400Hz compared to Jubilee bass bin with K402 crossed over at 400Hz in the same room with the same electronics. I can easily say, I preferred the MWM setup.